Prime Digital Academy offers an intensive, 20-week full-stack coding bootcamp and an 18-week UX design bootcamp in Minneapolis, Minnesota. Working directly with Twin Cities tech employers, Prime Digital Academy has created programs that equip emerging engineers and designers with the skills they need to make immediate contributions. Prime students learn modern technologies, practical methodologies, and critical behavioral skills through carefully crafted curriculum and real-world projects for pro-bono clients in the community. Prime’s immersive programs empower learners from diverse backgrounds to begin their new careers in months, not years. Prime’s full-stack engineering course prepares students with the skills and hands-on experience to develop complex software to solve businesses problems. Prime’s user experience design curriculum prepares students with professional practice in research, design and prototype software that is usable and meaningful. Prime graduates have been hired by nearly 200 companies in Minnesota, and the tight-knit learning community continues long after graduation, with students participating in mentorship, community education and ongoing alumni career support. Best choice for my career! Best choice I've made in my professional career. If you're willing to put in the work - do it. 36 and 60 month financing plans available from Climb and Skills Fund. $500 scholarship to student of color accepted into the program. Additional Minnesota, Minneapolis, and St. Paul grant-based tuition support may be available for eligible accepted students. 6 Weeks of required, flipped-classroom study and prep assignments. Prime’s 18-week immersive User Experience Design program was crafted to help people with interests in design, organization and technology build the foundational skills to start a career in user experience. Prime works hand-in-hand with industry employers to ensure that graduates are ready for the challenges of building complex experiences that are valuable for businesses and resonate with users. $500 scholarship to each person of color accepted into the program. Additional Minnesota and Minneapolis grant-based tuition support may be available for eligible accepted students. Prime was one of the best decisions of my career. I went from having no coding experience to having a job as a software engineer in six months. I would defiantly recommend this program to anyone who is willing to put their time and all energy into learning code. Prime helped give me the foundation I needed to become a UX Designer in the industry as well as networking and mentor opportunities. If you put in the time and effort, you'll be rewarded. The staff is invested in seeing you succeed and the instructors are awesome. Prime gives you a blueprint, building tools and all the consultation you can ask for. It is up to you what to do with it. Prime is structured enough to give you an appropriate scope of the many facets of the UX process, but flexible enough to allow you to explore areas that interest you most. Prime not only prepares you to be a UXer but also to be a competitive and knowledgeable candidate in the industry. If you put in the work, there will be results. I am happy to say two months after graduating I am happily employed! I don't know how else to describe it. In 20 weeks I went from being a competent computer user to designing and writing fully functional computer programs. Trust the curriculum, trust the instructors, trust the staff. They all want to see you succeed. Prime is the real deal. If you’re in the Twin Cities and are serious about getting into software development, this is absolutely the place to go. The people that come through the door here are great. The staff are amazing, and are genuinely invested in your success & well-being. I think your experience could vary a little bit based on the cohort you’re with and your primary instructors. I happened to hit the jackpot, and had a phenomenal group of people to learn alongside and instructors to learn from. We got a chance to interface with most of the instructors at some point during the program, benefitting from their various experiences & coding styles. They do a great job of setting you up for success post-Prime. While you’re in school, they offer support on resumes, networking, LinkedIn, etc. They set you up with mentors in the industry. When you’re done with school, the support continues. Plus, you have a network of Prime grads that are happy to help others out with continued learning and connections. If you think this might be the place for you, I’d definitely recommend stopping by for an open house or giving them a call. And/or just apply and see what happens. You won’t regret it. Prime Academy was a life changing experience. It is a weird place, in beautiful way. Every piece of Prime Academy is intentionally designed. The courses were designed by a true educator, someone who considers how people best learn and removes all pretense of formality focusing solely on the student's success. It is a challenging experience and should only be entered into by people who are committed 100%. It takes everything you have, but the gains are massive. Prime cares about its community and the impact those people will have on the greater world. This place knows that collaboration, not competition, is where the real joy exists. Relationships and soft skills are highly empasized. Get ready to be a seasoned public speaker! I would start again tomorrow. I came into the program knowing very little about programming and in 20 weeks with the help of the instructors, my cohort-mates, and everyone at Prime I'm starting a job as a Software Engineer at a local company. I've gained the skills to learn any new tech and search the web for related information. I've learned how to communicate efficiently with people and have also learned valuable soft skills in an incredibly welcoming environment. A literal safe space to be who you are and grow into what you want to become. It's hard for me to speak or write about my experience at Prime without sounding like I'm exaggerating. But I wouldn't be going to the trouble of writing a review at all if I didn't think it was an outstanding educational experience. In fact, I've found myself telling friends that in many ways, Prime was more valuable to me than my Master's Degree. Before attending Prime, I taught at the college level, and I was initially skeptical about the whole "boot camp" model. I kept hearing glowing reviews from a few friends who had attended the Full Stack Development program, but it wasn't until I visited campus and had some conversations with the staff that I started to understand how rigorous and multifaceted and awesome the Prime curriculum is. When I was looking at UX bootcamps, I also visited General Assembly in Manhattan, and it seemed large and impersonal compared to Prime. I was also unimpressed with the class session I sat in on -- it seemed like a passive lecture, presenting the same information I'd seen in online tutorial videos. In contrast to that, Prime is hands-on from day 1, with tons of opportunities to practice new skills as you learn them. People are Prime's number one asset, and I can't say enough good things about the staff. They truly get to know every student, and give everyone access to an incredible professional network and helpful career development activities in addition to the regular curriculum. The primary UX instructors are not only experienced designers with impressive resumes -- they're skilled teachers who know how to immerse students in a brand new career and help them succeed. They are 100% dedicated to students, and they're always available to help. They also have deep connections to the tech community in Minneapolis and beyond, and they share that access with students. If you're considering attending Prime, the best way to start is to schedule a visit and talk to people. Talking to students and instructors is what convinced me that it was a place I could spend 3 months of my life, and I couldn't be more glad that I did. An immersive program is not for everyone -- it's intense! Expect to spend 60-80 hours a week working on new skills and building a portfolio. I honestly enjoyed the intensity most of the time, but I'm sure not everyone would. But a couple weeks after graduating, I'm already starting a UX job that I love, and it definitely feels like the hard work paid off. Talk to people and visit to decide if it's for you, but I highly recommend Prime. Amazing experience, provided you give it your all! I cannot say enough positive things about my Prime experience. It was a wonderful, life-changing time for me, and overall I believe they did a great job of setting my cohort mates and I up for success in the Twin Cities tech community. My instructors were fantastic, and it was clear from Day 1 that they truly cared about our success, and were very passionate about their work, often working late to answer our questions/offer help. The support/admin staff were also amazing, as they devoted so much of their time helping us with soft-skills, resume/cover letter guidance, and even arranged a "Career Day" for us where we each had several actual job interviews with local businesses. Also, I really appreciate how Prime is constantly seeking to improve and change their curriculum based on current tech trends/needs in the TC community. Finally, the environment at Prime is extremely welcoming and comfortable for all types of people and backgrounds. And the bond I developed with my peers was unexpectedly deep for me, as I gained not only immense amounts of knowledge at Prime, but several new friends as well. That said, it is a very demanding curriculum, can be mentally and emotionally exhausting at times, and will challenge you in countless ways. But ultimately I believe that what you get out of the Prime experience is what you put in. I devoted nearly my entire life to Prime for those 4 months, and it paid off immediately for me. If you aren't ready to give it your all, I would not recommend Prime, as it truly requires a 100% effort. The only small criticism I have of Prime is that the first few weeks devoted quite a bit of time to non-coding related discussions/speeches/exercises. While I recognize their importance, I would have liked to see those things pared down a bit in order to fit more coding/learning in. Overall though, I had an amazing experience at Prime and would recommend it to anyone willing to put in the effort and jump-start an exciting new career! So you are interested in a career in User Experience? GREAT CHOICE! UX designers are in high demand and the market is growing fast. The Problem: even entry-level UX positions are seeking candidates with 1 to 3 years of experience...but how does one gain the experience necessary to land their first gig in this field if no one will give them an opportunity to get their foot in the door? The Solution: Prime Digital Academy. This 18-week immersive course will not only provide you with a foundational understanding of the industry so you can talk the talk, it also affords students the opportunity to demonstrate what they've learned by partnering with real companies to solve real UX problems, so you can also walk the walk. By the end of this program, you'll have the direct experience and polished portfolio necessary to be taken seriously in any job interview. And it doesn't end there...after graduation, you'll become part of a well-connected and supportive group of Prime Alumni & Staff that are only a message away...talk about a lifelong competitive advantage! Prime Digital Academy worked for me! I attended the User Experience Design program from December 2017-April 2018. Three weeks after graduation I started my first job as a UX Designer. One thing that really impressed me was that even alumni who were unemployed a few months after graduation told me they'd do it again without question. The experience is truly that remarkable and transformative. I cannot imagine how any program would do a better job of preparing for this career shift than Prime Digital Academy. Experienced professional instructors, caring and knowledgeable staff, and a solid curriculum based on the skills that employers are looking for. One major benefit of Prime is that you'll build a portfolio by doing meaningful projects for real clients. There's no substitute for learning by doing. The flip side is that it's a lot of hard work, stress, and strain on personal relationships... but only for a few months. If you're committed to a change and prepared to give 100%, then I can recommend Prime with no reservations. You'll get out what you put into it. I never thought that 18 weeks could change my life's trajectory so drastically. I was at a plateau in my career as a contract graphic designer and was tired of always struggling to find work. I always wanted to find my way into UX but was always shut down during the interveiw process in a job market that is amazing for UX. Feeling down on my luck, I decided to go to Prime so I could identify my shortcomings and improve the quality of my work. Prime offered me exactly what I needed for me to succeed: an amzing support system, REAL industry expereince, a huge network, great friends, and an incredible place to learn and grow. Be ready for an intense 18 weeks. It is a lot of work but if you can stick it out you will not regret signing up. Having gone through school a few times, I honestly can't tell you how beneficial Prime Digital Academy was to helping me figure out what I wanted to do in life. No matter your background, Prime caters to your needs. I literally learned a life lesson every day, as well as learning about real life job scenarios, and how to be prepared when applying and interviewing for jobs. Is it a huge commitement? FOR SURE. Will it change your life? FOR SURE. Prime Digital Academy is not just an incredible school that will teach you EVERYTHING you need to know about UX design, research and working with business and developers, but it’s also a place you grow into a better you. Overall, my experience at Prime Digital Academy was positive and I am very glad I attended. I received the fundamental knowledge I needed to begin my career in full stack programming/development. I would highly recommend that anyone looking for a relatively quick way to get into this industry, they attend Prime. With that said, I feel my experience at Prime could have been better. I believe our cohort's instructors were not fully devoted to their position as educators. As a pair, they really required the students to come to them with their questions. On its face, that sounds fine... but in reality, a lot of us didn't know what questions to ask. The pace of Prime is very fast and it is easy to not realize when you're not grasping the fundamentals of something. Also, as a pair, they were not the most approachable individuals... They weren't aholes or anything, but they had the more "generalized" engineer personality, not necessarily the personality type required to be great instructors. Not to my surprise, both of them voluntarily left Prime to return to engineering positions after our cohort graduated. Now, the majority of the other instructors at Prime have been there for a long time, and they are absolute rockstars - from what I understand. Talking to other Primers, they have nothing but glowing reviews for their instructors... I think our lot just got a bit of bad luck. ALSO, the entire staff are some of the greatest and most caring people I have ever met. The experience at Prime is pretty intense and they are always there - and encourage you - to talk to. They become a sort of family to you, and it is pretty awesome... definitely will not forget a couple of staff members in particular. There are a lot of other perks as well. You will have access to endless coffee, RAMEN NOODLES, and PB&Js. Also, they have a great mentor program and 2 awesome careers days. Plus, they emphasize soft skills - public speaking, communication, etc - which is awesome because if forces you to get out of your comfort zone and really forces personal growth. Post graduation you continue to have access to all of Primes resources - even your Codeschool accounts (For a few months). They also have a weekly thing called "Alumn Scrum" which is pretty boss. It is aimed at assisting you in your job search and continuing education and personal growth. Lastly, I would reiterate that Prime delivers the fundamentals - or base - knowledge needed to get into the industry. It is in no way comprehensive. If you are looking for a comprehensive educational experience, you are better of getting a CS degree... but if you are comfortable with entering the job market not fully understanding what you know and needing to learn as you go... Prime is for you. Attending Prime Digital Academy was the best decision I ever made. I always wanted to get into software development but I didn’t have the time or money to go back to school and get a degree. When I came across Prime I knew it was exactly what I was looking for. The instructors are caring and knowledgeable and the support personnel go way out of their way to help you in any way they can. Not only did a learn so much about full stack software engineering, Prime also takes time to work on soft skills, interview prep and resume assistance. I could not be happier about my experience at Prime. I'm posting this because my instructor asked me to write an (honest and unvarnished -- their words!) review. Let it be testament to the value I derived from this program that -- though I was the one who spent the five figures, and I was the one who spend all those thousands of hours at the keyboard -- I feel it would be a betrayal of the effort they invested in me not to reciprocate by writing such a review. TL;DR If you're ready to fully commit half a year of your life to rebuilding your professional skillset, then you won't find a better vehicle to do so. The instructors all had successful careers in software development that they set aside because of their love for the classroom. Each instructor comes from a slightly different programming background, but a passion for instruction and learning is the common denominator among them: and it's utterly impossible to fake. The administration is thin, accessible, and deeply invested in your success. More importantly, they're invested in your success as you define it: you want to build websites for an NGO? They can give you tips on how to make that happen. Want to spend five years in the cubicle farm at an F500 company, honing your skills before you depart for the coast? They've got ways to help you with that, too. At the most cynical level, your success is their success -- as a career-training school, they live or die by their graduates' employment rates. In my time there, though, I noticed that the commitment of the staff goes far, far beyond that: they understand, many of them at a personal level, the (various) circumstances that impel someone to apply for a coding boot camp. They know where you're at, and they're emphatically on your side. It's an actively inclusive program, and they go out of their way to expand on this commitment. The atmosphere is professional, and hard-working, but lighthearted and unpretentious. The network of alums only grows in value each week, and that's not a naturally-occurring phenomenon. Prime works hard to leverage connections within their community, and the (mentorship/shadowing/etc) results are quantifiable. The "six months of working pretty much all the time" is no joke. You will socialize much less than normal, and other obligations will need to be put on hold. There will be times when the stress of unemployment leads you to view your intra-cohort progress competitively. That's natural, but also fallacious: there's not a shortage of jobs in the Twin Cities area, and a collaborative mindset will open you to more successful learning. By its nature, the software development field is ever-progressing: your learning doesn't stop at the final week (though the program prepares you very well for this.) You'll always be picking up some new library or framework in your free time, even post graduation: there's no relaxed lawnchairs-in-the-sunset after week 20. That's about all I've got! The Peace Corps motto at the time I served was "the toughest job you'll ever love." Well, Prime was easily the toughest course I've ever loved, and I feel very, very lucky to have participated. A good friend of mine, with a similar degree and job status, enrolled in Prime's program. He disappeared for a several weeks, and emerged a happier, fulfilled, and importantly, employed as front-end developer. Dissatisfied with my life as a pre-press operator with a degree in multimedia design that went nowhere, I decided to follow in the footsteps of my friend. I hated my current job so much, despite enjoying the people I worked with. Eager for change, I completed the application and resume challenge pretty easily considering HTML and CSS were part of my multimedia background. Functional programming however, a skill almost every designer should have, was definitely lacking. To my surprise I heard back quickly and was interviewed and later accepted into the program. The first few weeks were online code courses, which I would be lying if I said I didn't struggle through. I spent nearly 12 hours a week fumbling thru the labyrinths of loops and the variable vallies, juggling my hated job and my new passion. What eased my stress was the weekly video meetings with my group (cohort) and instructors. You could ask them anything. I even went into the building early and sat down with one of the instructors who took the time to slowly step me thru a problem my dumb brain couldn't quite get. It was at that moment I knew the faculty actually cared about my success, and pushed me to achieve it. And that's really the best thing I got out of Prime, not to discount my new friendships, the support from the staff, or the sweet job I landed 2 weeks after graduating. Prime taught me how to put that imposter I thought I was away, and understand functional programming at a deeper level. A level they gave me the tools to explore on my own. It was the best, hardest, most frustrating yet most rewarding thing I've ever done for myself. In 18 weeks I was more marketable to employers than after 7 years of college (art school, I am no doctor, remember how I said 'not even middle of the class?'). The job market for young devs if competetive for sure, but it's definitely not lacking in careers. Suddenly I had many other options other than "pre-press operator." "Do you want to change your life?" i was a graphic designer before applying to prime. in fact, the application was the first bit of code i ever wrote. after a great interview and application process i was accepted to prime. the first 6 weeks of the program are the worst part in my opinion. it is all code academy type online courses. but i know they are creating a custom plan for the initial 6 weeks which should be launching soon (maybe it already has). the 12 weeks in the classroom goes crazy fast, but also is really intense (in a good way). expect to be a little MIA from friends and family during this stretch. weekend homework usually takes up ~10 hrs a weekend for the first 5-6 weeks of in classroom—so expect to have one day 'off' a week. after that, it is on to solo projects where you create your first web application on your own and present it in front of the school. this application can be anything, but make sure you pick something that you will want to talk about to potential future employers. the remainder of the program revolves around the group project where you take a real world problem that a local company is facing and help them solve it. it was a great way to network and work with your fellow classmates. this final project is presented in front of ~150 people (of whom are recruiters, companies that are hiring, and the whole prime school). on top of all of that there are speakers who come in and talk about the industry, what to expect, bits of encouragement etc. prime also provides free bananas, cereal, ramen, coffee etc. there is a mock interview day where you meet with recruiters to tailor your resume and your interview skills, as well as a career day where you are interviewing for real jobs. other than that, it took me a week after graduation to get a job. the hiring network, was fantastic and there were a lot of potential opportunities to connect with companies and recruiters. on top of ALL of that, the people are the best part. there is a real sense of community and genuine support from both the teachers and students. TL;DR? do it! it'll change your career path in less than 6 months. At some point in life everyone has that moment they can pinpoint as being completely life altering, my moment was my acceptance into Prime. I started Prime as a college drop-out floating through life with no idea of what to do. I left a completely different person. I'm strong, confident (most days), independent, and I feel prepared for the future. Prime doesn't just teach you how to code, it teaches you how to be a better you. Prime is aware that you have a life outside of school, no matter how limited your interactions with the outside world may be while in the program. They have resources for students in need and are always willing to help; if it gets to be too much even with everything they offer, you are allowed to drop back into a different cohort when things calm down. I actually had to drop back into a different cohort due to events outside of Prime. The staff was very helpful, my classmates in my first cohort were supportive and endlessly kind. The curriculum itself changed a surprising amount in the month between cohorts. I learned things day one of cohort two that hadn't been covered before. The curriculum is ever evolving into the best possible combination thanks to some very dedicated staff. Student feedback also plays a large part in the curriculum; there are daily and weekly (optional) feedback forms that the staff uses to make these changes and keep general tabs on the students. They care about the wellbeing of each and every student in the program. The atmosphere is incredible. Everyone supports each other regardless of where in the program you may be. You grow to be close to your classmates even though you only spend 12 weeks with them face to face. I've made multiple friends in the program that I still keep in touch with and hang out with even after graduating. TLDR Prime is awesome. Absolutely life changing. You'll learn code, soft skills, and how to be a better person. Would recommend!! I attended an open house at Prime before applying and from talking to alumni and current students, the experience at Prime sounded exactly like what I was looking for. A boot camp for fast, yet high quality learning and a fantastic experience and environment. What I didn't realize is how much of an impact Prime had on my life. Students and alumni kept talking about getting close to your classmates and becoming good friends with them throughout the process of this intense learning. The realization of how close you'd get and the impact these people have on you struck me after only about three weeks into the course. The learning process is intense and the teachers know how to push you to the edge of your abilities and then watch as you make things happen that you wouldn't have thought possible. The amount of knowledge you absorb and utilize is incredible. It's also stressful. It's fast-paced and you move quickly. What you find is that your classmates and the Prime staff is there to support you throughout the entire experience. What I kept discovering is how I was doing things I didn't think I would be capable of, over and over throughout my Prime experience. You have two large projects at the end of Prime but before that, you watch the cohorts that are ahead of you present their projects. What you immediately tend to think is that there's no way that you'll be able to create something like that. It seems leagues away from where you are. Once you get to that point in the program though, you end up discovering that you CAN do that, and probably even better than the cohorts you followed. One of the benefits of Prime that I didn't expect was their focus on not just development skills, but also on soft skills. Every week, students have Toastmasters and speak in front of their classmates, developing their public speaking skills. 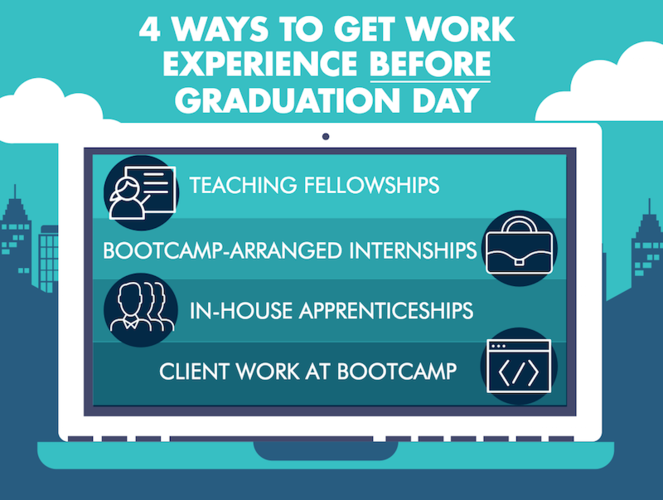 You also get prepped with knowledge about interviewing, updating / creating your resume, using LinkedIn to your benefit and how to structure it, as well as having multiple chances to meet with recruiters and companies looking to hire students. Those same recruiters will also be able to provide you insight into interviewing and making sure your resume works well and stands out. Prime's curriculum focuses on the MEAN stack (MongoDB, Express.js, AngularJS and Node.js). You also learn how to use jQuery, Git, Bootstrap, PostgresSQL, and how to interface with APIs amongst other things. Once you are finished with this program, the learning doesn't stop, but you are now prepared for a lifetime of learning and can start your development career. In the end, I can't recommend Prime enough as the entire experience can be a life-changing event. At the least, you'll meet some amazing people, gain some new friends, and learn to develop web applications over the span of 18 weeks. Well worth the time and investment to start a new career in development. My experience at Prime Digital Academy was transformative. I've never experienced education in a more immersive, well-supported, and holistic way. The instruction is primarily on the MEAN stack (MongoDB, Express.js, AngularJS, and Node.js) but the focus is not simply on imbuing you with "the stack." There is instruction in life-skills, job search, work/life balance, and more. The instructors' don't consider you just a number (as I've experienced in so many mainstream institutions); they really want you to succeed. Everyone at Prime Digital Academy works toward that end. There is a ton of support. Beyond that, althought the coursework is focused on the MEAN stack students will come out with a more diverse skillset. Studetns learn HTML, CSS, jQuery, SQL, and how to use APIs. Weekly Toastmasters meetings teach attendees public speaking. On top of that there are multiple group projects that acclimate students to working in a team setting (which is prevalent in the industry). I left Prime as a more well-rounded person, not just as a Programmer. My life has been forever changed for the better, and I owe much of that to them. Overall, this was an incredible educational experience. During this software development bootcamp, I learned how to use a variety of skills and technologies to create a myriad of projects, including an in depth project for a real world client. The focus on specific technologies was effective, but even more importantly, I learned how to get up to speed and develop effectively using new tools and technologies. I didn't just learn how to write code, I learned how to do research and problem solving to add additional tools and skills to my inventory. The instructors are knowledgeable, experienced, and supportive. The application process is rigourous, and the students I learned with and worked with were an exceptional group of people. The collaborative learning experience was an effective and essential preparation for working effectively as part of a softwaredevelopment team. The support staff work hard to make sure that graduates have all the skills they need to land a job in their field. This program was so much more than I bargained for. I can't reccomend it highly enough. Coding and so much more! I came to Prime Digital Academy with virtually no coding experience. Not only did I learn to code in several different languages, I also built a talented, supportive network with my cohort, other Prime students and Prime staff. Yes, I had moments when I felt lost, frustrated and overwhelmed, but because of the positive and supportive environment, I was able to keep moving forward. I surprised myself by how quickly I learned and how much I learned. My one recommendation, if you decide you want to take on this challenge, is to have self discipline, and never be afraid to ask for help. Overall, an awesome and life changing experience. It's more than you think it is. This was an excellent experience. I constantly found myself engaged. The extras in the course are worth every second and the instructors know exactly how to guide you to the answers you seek rather than giving them to you. Prime Digital Academy Overview from Prime Digital Academy on Vimeo. Prime Digital Academy is licensed as a private career school with the Minnesota Office of Higher Education pursuant to Minnesota Statutes, and with the Missouri Department of Higher Education. Any other information you'd like to share with from Prime Digital Academy? By submitting, I acknowledge that my information will be shared with Prime Digital Academy. An email with these details has been sent to Prime Digital Academy. You've already applied to this scholarship with Prime Digital Academy.